The chairs were cold and hard, and I was ready to leave. We sat in the gym listening to song after song, as the program seemed to run long. Finally, someone teased us about closing the ceremony, but then dashed our hopes with “just one more number.” I suppressed a huge sigh, as adults are supposed to be above such displays, but my selfishness diminished as I watched a tiny, blond imp walk forward and face the crowd. She shyly smiled and began to sing “Jesus Loves Me.” As she walked back to her seat, a brief, “how cute,” flitted through my mind and just as quickly left as we were finally dismissed. If you believe that life is filled with random coincidences that we just happen to experience, then you may not understand the rest of this story. But I hope you will read on, despite some doubt, and learn how much God cares; not just about our needs, but our hopes and dreams as well. I personally believe in divine intervention, prayer and faith, but even I forget just how big God is. Little did I know, sitting on those cold, hard chairs, that God had not only heard my prayer, but had just placed the answer right in front of me. I had an ache in my heart, a hole of sorts that no surgeon could repair. While I already had two wonderful sons by birth, I longed to adopt a daughter. For me this was a need, but for my husband not so much. Seven years had passed since the topic was first discussed, and I prayed first for his heart to change. But when that didn’t get results, I prayed that my heart would. I asked God to take the desire from me, so it wouldn’t hurt anymore, or cause bitterness. God was not satisfied with those limitations, and with His typical wisdom and no lack of a sense of humor, He opted for the shock and awe approach. 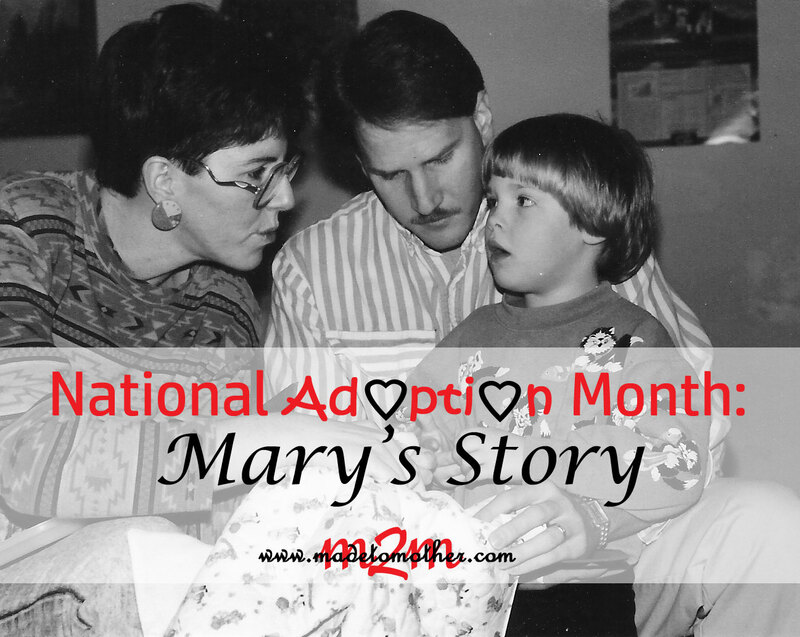 The next time the subject was brought up, it was my husband that said, “I think we should look into adopting!” I almost passed out, but recovered quickly so I could get the ball rolling before he could change his mind! I called several adoption agencies and was satisfied knowing that packets of information would arrive within a few weeks. Then, being a long-standing member in the, ‘it never hurts to ask’ club, I put in one more call, this time to a place more local. We were friends with a couple that managed a Christian children’s ranch. The kids placed with them were temporary wards, while parents were in jail, or couldn’t care for them for other reasons. It was rare that any of the kids were adoptable, so I didn’t get my hopes up as I dialed. My inquiry was answered with one question, “how old?” I explained very logically how we felt that a two or three year-old would be best, giving us time with them before they started school. When that was met with, “oh, that’s too bad,” they went on to tell me that there was a five year-old girl that would be put up for adoption right after Christmas. I heard my voice say, “that is too bad; It’s older than we were thinking,” and with that I hung up. She did have blond hair and blue eyes and dimples! Not only was she the girl God placed on my mind that night, she was also the same impish child who sang for us that uncomfortable day in the gym! She would become our daughter that winter. She ended up with two older brothers to torture gleefully, and parents who knew beyond all doubt that she was a gift from God. God made sure our lives were woven with threads of common friends. It has been over twenty years since we first heard her sing, and she still uses her voice every Sunday, as she now leads worship for our church. Mary is the wife of Dale, mother to Matt, Nate and Maegy, and Mother-in-law to Michael and Amber. She is “Grammy” to Elijah, Asher and Bennett. 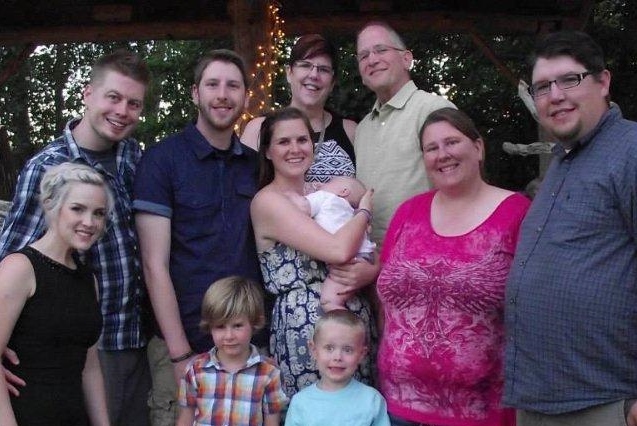 She lives in the Pacific Northwest and is a full-time pastor’s wife and part time daycare to two of her grandboos. She has a side business called “Leaf It To Me,” making and painting cement leaf castings and speaks for various women’s events around the NW. She has guest posted on M2M before, which you can read here.